Thailand has acceded to the Convention against Torture and Other Cruel, Inhuman or Degrading Treatment or Punishment on 2 October 2007. The accession to the Convention obligates Thailand to submit an initial report to the Committee against Torture within one year after the entry into force of the Convention as per Article 19 of the Convention. 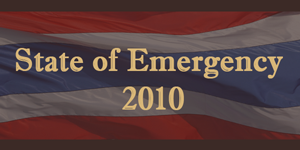 In other words, Thailand has to submit an initial report within 1 November 2008. Up to now, the government has not submitted a report. The 2007 Constitution, promulgated on 24 August 2007 by the government that assumed power by a coup d’etat on 19 September 2006, prohibits torture under article 321. 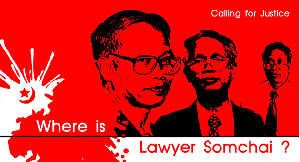 However, the absence of a discrete enabling law in accordance with the definition of torture under the Convention is a serious impediment for the realisation of the Convention and the jurisprudence behind the Convention to the people of Thailand. There is no specific law in Thailand that provides for compensation in cases of torture. The existing possibility is to claim vicarious liability upon the government for an act of torture committed by a state agent. This proposition has inherent problems since it does not address the crime committed by the perpetrator, but limits the jurisprudence to a mere state responsibility to provide compensation. Thailand does not have a good and functioning witness protection framework. A law was promulgated in 2003. But it is not properly enforced. Even though there are reported cases of torture in Thailand, so far regarding compensation for the victims of torture there has not been any positive development. 1 Constitution of the Kingdom of Thailand 2007: Part 3 Rights and Liberties of an Individual – Article 32. A person shall enjoy the right and liberty in his life and person. A torture, brutal act or punishment by a cruel or inhumane means shall not be made; provided that punishment under judgments of the Courts or by virtue of the law shall not be deemed the punishment by a cruel or inhumane means under this paragraph. Arrest and detention of person shall not be made except by order or warrant issued by the Courts or there is a ground as provided by the law. Search of person or act affecting the right and liberty under paragraph one shall not be made except by virtue of the law. In the case where there is an act affecting right and liberty under paragraph one, the injured person, public prosecutor or any person acting for the benefit of the injured person shall have the right to bring lawsuit to the Courts so as to stop or nullify such act and to impose appropriate measure to alleviate damage occurred therefrom.